The customer is responsible for all shipping costs unless otherwise stated. We primarily ship packages via USPS and UPS/FEDEX methods. While we make every attempt to ship the day of your order, there is no guarantee of this. We also cannot guarantee that your package will arrive in any particular time frame. There are instances where UPS/FEDEX or USPS will delay the shipment of a package due to unforeseen events. If your package has been delayed beyond its scheduled delivery time, we will not be able to refund any shipping charges. Please be aware that UPS and USPS do not have any guarantees as to the delivery time of a ground package. Free or flat rate shipping offers never apply to oversized items unless specifically stated on that item page. If you use a free or flat rate shipping coupon with a mix of normal items and oversize items we may have to ask for shipping charge due to the excessive cost of shipping large items like rifle bags and Pelican cases/ETC. If a customer is in receipt of merchandise that was drop-shipped (merchandise from one of distributors shipped directly to the customer), it is the customer's responsibility to contact WARRIOR ONE regarding the drop-shipped merchandise. We will not be held liable for issuing refunds and/or exchanges on any drop-shipped merchandise that a customer has chosen to return to the distributor. In addition, WARRIOR ONE, will not be held liable for any missing or damaged items that the customer has chosen to return to the distributor. Furthermore, if drop-shipped merchandise has been returned to the distributor by the customer, WARRIOR ONE reserves the right to end all further assistance and proceedings regarding the customer's order. All drop shipped merchandise must be returned to WARRIOR ONE not to the manufacturer. Should a package be lost or damaged, it is the customer's responsibility to report the loss to WARRIOR ONE so that the problem may be addressed in a timely manner. Lost UPS/FEDEX packages must be reported within 30 days of the original ship date of the package. Lost USPS packages must be reported within 90 days of the original ship date. If you feel that your USPS package has been lost, you must submit your concern in writing so that we may open a claim with the postal service. Please be aware that claims cannot be opened after 90 days, and WARRIOR ONE assumes no responsibility for claims made after these time periods. Standard shipping typically takes 3-10 business days and means that your order will ship the most economical method possible (this is automatic and we cannot take requests). These methods can include but are not limited to, UPS Ground, USPS, and FEDEX. Tracking information will be provided for Standard Shipping but can be limited and is not always exact. Free or flat rate shipping does not apply to oversized items including but not limited to full size Pelican Cases, Plano Cases, large rifle cases, etc. WARRIOR ONE. attempts to ship orders as quickly as possible. As a result once an order is submitted, we will not be able to make changes to your order once it has been processed, nor will we be able to stop it from shipping. The customer is responsible for making sure their order is accurate (shipping address, shipping method, and items ordered including sizes, fits, colors and quantities). If you do make an error in ordering you will have to follow our Return Policy. If possible, we can attempt to change the ship to address once the package has been shipped, however, we are completely subject to the shipping company's policies. If the address can be changed a $25 service charge will apply. WARRIOR ONE will not be responsible for errors made by customers entering wrong information. We will not reship the order for free, nor pay for the incorrect items to be shipped back to us. Items needing to be returned are subject to our Return Policy. Please examine the outer box and all contents immediately upon receipt for any signs of Wrong Item(s) Shipped/Missing items from the shipment/Defective Merchandise/Damaged goods. All claims must be initiated within 24 hours of delivery. Pricing, specifications, availability and terms of offers may change without notice. Taxes, fees and shipping and handling charges extra, and vary. Items offered at below retail prices may or may not be backordered depending on future availability. WARRIOR ONE. cannot be held responsible for pricing or other errors, and reserves the right to cancel orders arising from such errors. Upon placing an order with WARRIOR ONE., the customers' credit card may be authorized by the credit card company for the full dollar amount of the order. This is not a charge. Although this amount may initially appear as a charge, it is simply an authorization run by the credit card company confirming if the necessary funds are available to process the order. This amount will automatically be removed within two to five business days from the date the order was placed. WARRIOR ONE. will not act as an intermediary between the bank and the customer to have this authorization amount removed any earlier than what is required by the respective bank. We accept the four major credit cards as payment methods Visa, MasterCard, Discover, and American Express. Pepper Spray & Stun Gun Policy. You may be violating your local laws if you possess these items. As we do not know the laws where you live you should check with local law enforcement before buying/possessing this item. 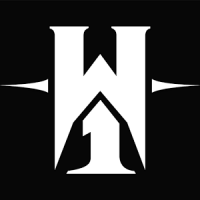 WARRIOR ONE, attempts to ship orders as quickly as possible. As a result once an order is submitted via any method (website, PHONE, we will not be able to cancel your order once it has been processed, nor will we be able to stop it from shipping. All customers attempting to purchase a knife must be 18 years or older. Knives are sharp, and by purchasing the knife from WARRIOR ONE, you understand that it is not designed or intended for use as a weapon. WARRIOR ONE does not warrant that a person may legally purchase, possess, or carry any specific items offered, according to federal, state or local laws. By purchasing any item from WARRIOR ONE, the buyer grants that he/she is in compliance with local and state laws and legally able to purchase these items.WARRIOR ONE makes no guarantee either expressed or implied, as to any matter not expressly provided herein, including without limitation, the condition, quality, design, or fitness of the knife for use on any particular purpose. By acceptance of the knife, purchaser agrees that WARRIOR ONE shall have no liability to purchaser or any person whatsoever for any claim, loss, damage or expense arising from handling, use, display, or storage of the knife. WARRIOR ONE. is required by law to collect sales tax on all orders from California or being shipped to California. Your order will reflect the appropriate sales tax charge prior to checkout and it will also be displayed on your final order confirmation.